"We are back from the Cape!" This was what I was imagining ｔhat Cape Code would look like. Well, it was true on this particular day when I took this photo, but mostly we were blessed with fantastic summer-like weather. 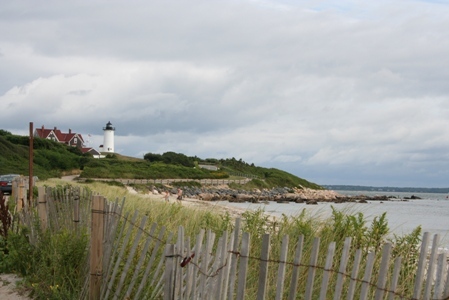 While on our 5-day-stay on the Cape, we took a day trip to Plymouth, another day trip on a ferry to Martha's Vineyard, and we also enjoyed the ride all the way to the end of the Cape at Provincetown. But most of all, we enjoyed the time on the beach with JB. Well, let me re-phrase that, I enjoyed watching JB and my husband play on the beach.